Deep Root Fertilization | Fairway Green Inc. The picture above is a deep root tree fertilization. Trees and shrubs are living things. Like all living things, they need oxygen, water, and food. In the natural environment, these three essential ingredients are readily available most of the time. Oxygen is always available. Water comes from rain. Finally, food comes in the form of organic matter recycling back into the soil. Organic matter can be leaves, branches, beneficial bacteria, and even decaying animals. This is all part of the “circle of life”. However, this “circle of life” is not as prevalent in the homeowner’s landscape. Picture a wooded lot that has stood untouched since the beginning of time. Now John The Builder has bought the lot and wants to build 20 homes on half acre parcels. The first thing they will have to do is remove the trees and clear the lots. After this is done, they will need to grade and level the lots. Sometimes additional soil, or fill dirt, is brought in from off site. The existing, untouched, nutrient rich soil gets turned over continuously and mixed in with fill dirt. Next, the builders will have to install temporary roadways and driveways so they can get their construction vehicles in and out without incident. Homes and other structures are built. During this time, new trees and shrubs are planted to create an aesthetic landscape. Why do I need Deep Root Fertilization? A few things are happening here to be mindful of. First, ‘fill dirt’ means just that. It holds little to no nutritional value. So now we have this fill dirt mixed in with nutrient rich soil, which dilutes the available nutrients. Also, in untouched soils there are bacteria called mycorrhizae. This bacterial is extremely important to plants because they attach to roots. When mycorrhizae grows, it produces hair-like extensions from those roots. In essence, the bacteria increases the area in which roots can reach for water and nutrients. In landscapes, this bacteria is not readily available because the soils have been disturbed. Organic matter that recycles back into the soil, like leaves, are constantly removed. Not many homeowners leave all the leaves on their yard or in the beds when they fall because it leaves a messy appearance. Believe it or not, leaves are a great source of nutrients. 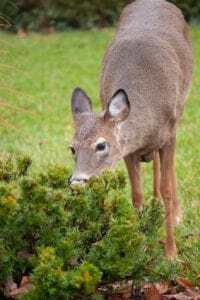 Because we remove a lot of the nutrient sources, our trees and shrubs can benefit from a supplemental source, such as deep root fertilization. The deep root fertilization injects nutrients directly into the root zone. Soil compaction also plays a role in nutrient availability. Soils are now compacted from all of the equipment that was used to build the house or install the landscape plants. Compacted soils make it much more difficult for rainwater and nutrients to penetrate and get down to the root system. Rainwater can run right off the compacted soils before they seep into the ground. Also, compacted soils make it harder for roots to ‘breathe’. Finally, the trees that were initially there to provide shade and keep the soil moist are no longer there, and the soils dry out much quicker. So, how does deep root fertilization help? Our deep root fertilization treatment combines a complete fertilizer with an organic soil conditioner. Together they are designed to increase plant vitality and improve poor soil conditions. Plants that do not have readily available nutrients can go under stress which opens the door for more problems. 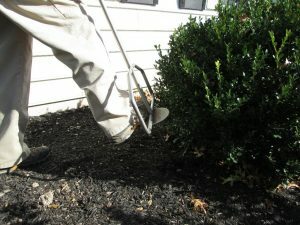 So, this is one of the most beneficial applications that can be done to your landscape. If you have any questions about deep root fertilization, please don’t hesitate to call our office at 908-281-7888. 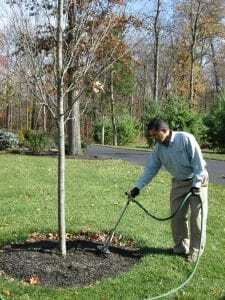 Here is a link to our website where you can find more information on our Deep Root Fertilization Treatments and other services for Trees and Shrubs.